Carly Calhoun and her husband, John, knew they wanted to grow their family through adoption. 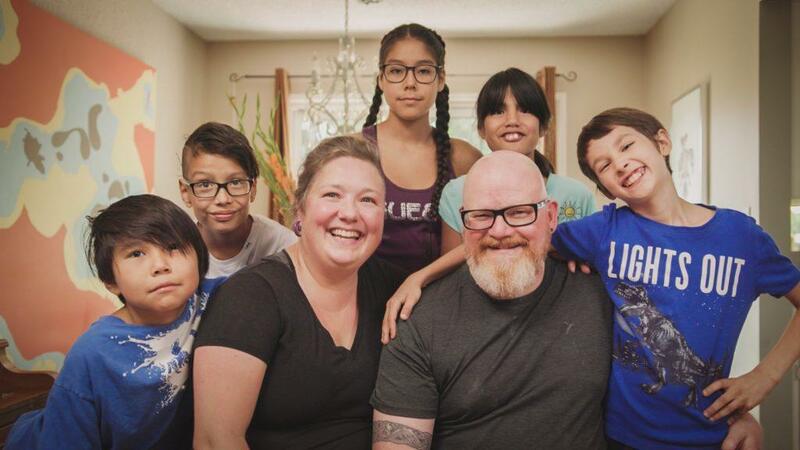 The couple from British Columbia has adopted six children, including siblings Alicia and Tristin through the Dave Thomas Foundation for Adoption’s signature program, Wendy’s Wonderful Kids. They want anyone considering adoption to know that children in foster care are more than what they’ve experienced in their past. I knew I wanted a big family. I told John on our first date that adoption was a must for me. When we started our adoption journey everything seemed to go so quickly. We adopted our son, Cash, as a newborn. Two years later, our family expanded to include three siblings, Angelina, Louis and Roxy, who had spent their entire lives in foster care. 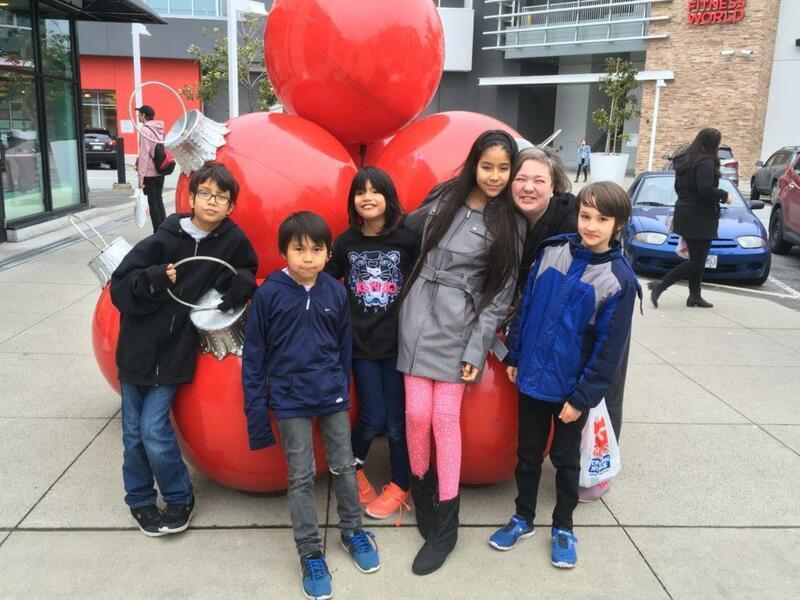 Soon after, we met Kirsty Stormer, a Wendy’s Wonderful Kids adoption recruiter at the Adoptive Families Association of BC. Kirsty informed us that Angelina, Louis and Roxy had more siblings in foster care. We were asked about contacting them and keeping in touch. John and I said, “Well, let’s do better than that. Let’s try and adopt them.” In February 2016, we finalized our adoptions of Alicia and Tristin. Both children had spent more than 10 years in foster care. Without Wendy’s Wonderful Kids recruiter, Kirsty, our daughter would have most certainly aged out of care without a family. Kirsty offered critical support for us along the way. She would come and visit our kids and take them on one-on-one outings, chatting about the weather or any concerns they had about the adoption. She was someone the kids began to trust. She was a great resource for us. The process of coming together as a family hasn’t been easy. When our children joined our family, it was trial and error and required a lot of patience. But it felt so right. Bringing all the kids together was so exciting, and we knew how much it does and will mean to these kids if they grow up knowing each other. Our family is LOUD and happy. We argue, but we always love again. We help each other and laugh a lot. Every day is a new adventure. The biggest milestones for us were the second time we celebrated birthdays, spent Christmas together and went on vacation. We loved hearing the kids say, “Hey Mom and Dad, remember our last vacation?” or “Do you remember my last birthday?” We created a memory with them and that was huger than huge. They will look back on their childhood with joy, not fear. Adoption has only improved our lives. We brag about how our family was built. To anyone who is thinking about foster care adoption, I say, do it. Just make sure to educate yourself about the adoption journey to determine if it is the right fit. Children in foster care experience significant trauma. On paper, that can make them seem scary, but they are just children. Meet them and empathize with where and what they have experienced. You can change a life.